Sana Salman fall collection 2013 is going to be released soon. However, its few dresses were revealed online today. The collection offers different digital prints like the ones in Sana Salman party collection 2013. It has these prints on fabrics of fine quality. The clothes of Sana Salman fall collection 2013 for women include jumpsuits, shirts, kurtas and other such stuff. 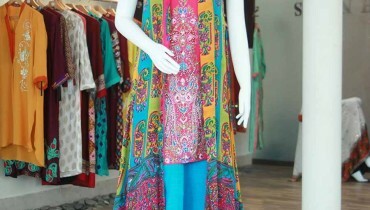 The designs of these dresses are different from those included in the earlier collections of Sana Salman. If you are a fan of Sana Salman and her dresses, check out Sana Salman fall collection 2013 for women. Sana Salman started offering clothes for women some time ago and now, her clothes are quite popular in Pakistan. She has released such nice collections of prints in the past. 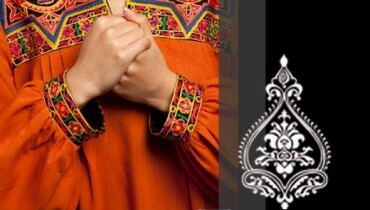 All the prints of Sana Salman are on fine quality fabric. Not only that; all the clothes are made with perfect fitting. With perfect fitting and fine quality fabric, the clothes are all quite attractive for women. Sana Salman is a Lahore-based label of designer wear. The brand can be contacted through phone, email, Facebook, BB and Whatsapp. The label’s clothes are shipped to clients worldwide. You can see pictures of Sana Salman fall collection 2013 for women below. The collection will be exhibited on 16th and 17th September. If you like the collection and want something from it, go to the exhibition. You will surely get your favorite designs through it. For more details about how to get the dresses of Sana Salman fall collection 2013 for women, go to the Facebook page of Sana Salman. You can get the full contact details of the brand through it. You can get the address of this Facebook page of Sana Salman from below. We have provided it here for your ease.